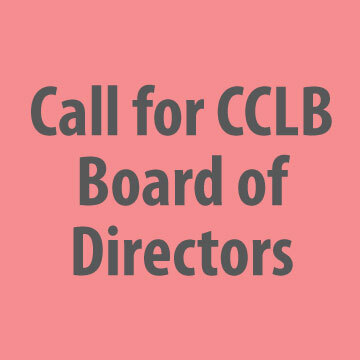 CCLB is inviting applications to fill vacancies on its pan-Canadian Board of Directors. Appointments to the CCLB Board are made by the Board on recommendations from the Nominating Committee using a transparent set of criteria. The term for all positions is three years, starting in June 2019, renewable once. The Board meets four times a year. All CCLB Board members participate on their own behalf and not on behalf of their employer or any organization. Commitment to the goals of CCLB. Knowledge and experience working with the Canadian Language Benchmarks (CLB)/ Niveaux de compétence linguistique canadiens (NCLC). Experience related to second language acquisition by adults and/or immigration and employment. Strong policy interest and experience. Understanding of financial operations, accounting systems, internal control issues, and risk management. Ability to operate in a bilingual environment (defined as the ability to at least understand the other official language while you can speak in the official language of your choice). To enquire or to apply, please contact François Bélisle, Executive Director, at fbelisle@language.ca.